If It Can’t Be Right Then It Must Be Wrong is a new protest song written by Blockheads Chaz Jankel and Derek Hussey, and lead vocalist from Graeae’s Reasons to be Cheerful. It’s a rallying cry against the brutal welfare cuts that D/deaf and disabled people have faced in recent years. 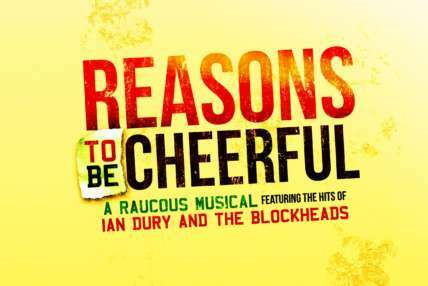 Due to overwhelming demand, this song can now be listened to and downloaded publicly, not just to ticket holders of Reasons to be Cheerful. Jeremy Corbyn, Leader of the Labour Party. The song can be streamed or downloaded at the link below. Click here to view the full lyrics. We rely on the generous support of individuals to continue creating world-class theatre which boldly places D/deaf and disabled artists centre-stage. Please show your support and DONATE NOW.